Question of the Month: What driver behaviors can help reduce petroleum consumption? This is a new series called “Question of the Month.” The Clean Cities Technical Response Service Team provides comprehensive answers to all of our questions related to alternative fuels and advanced vehicle technologies. If you have a question that you’d like answered by the Technical Response Team please email it to jceponis@cdtcmpo.org or directly to the team at technicalresponse@icfi.com. Answer: There are many simple changes fleet managers and individual drivers can adopt to improve vehicle efficiency, decrease fuel consumption, save money, and reduce emissions. In fact, the National Renewable Energy Laboratory found that improved driving behavior can reduce fuel consumption by an average of 10% and up to 20% for aggressive drivers; see the final report at http://www.nrel.gov/vehiclesandfuels/vsa/pdfs/50836.pdf. Below are strategies fleet managers and individuals may consider to improve fuel efficiency. Reducing Speeding: Though different vehicles reach optimal fuel economy at different speeds, fuel efficiency generally decreases significantly at speeds above 50 miles per hour. This is because at high speeds, more fuel is needed to overcome resistance from aerodynamics and tire rolling. 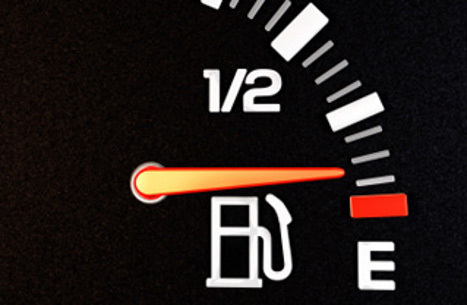 The fuel economy benefit of reducing your speed is 7% to 14%. The FuelEconomy.gov “What is the speed penalty for my vehicle?” (http://www.fueleconomy.gov/feg/driveHabits.jsp) tool allows drivers to calculate the fuel economy reduction for their specific vehicle and typical driving behavior. Conservative Driving: Gradual braking and accelerating can improve a vehicle’s fuel economy by 33% on highways and by 5% on city roads. Driving conservatively not only helps conserve fuel and save money, but it is also a safe practice for drivers. Combining Trips: Using one trip for multiple purposes, rather than making multiple trips, can save fuel, time, and money by reducing driving distance and avoiding unnecessary cold starts. When the engine is cold, starting a vehicle can use twice as much fuel. Reducing Load: By offloading unneeded items from the vehicle, drivers can reduce the amount of fuel consumed by up to 2% for each 100 pounds. Vehicle Maintenance: Proper and regular vehicle maintenance can improve fuel economy by 40%. This includes keeping the engine properly tuned, maintaining proper tire inflation, and using the recommended grade of oil. For more information on vehicle maintenance techniques used to conserve fuel, see the Alternative Fuels Data Center (AFDC) Vehicle Maintenance to Conserve Fuel page (http://www.afdc.energy.gov/conserve/vehicle_maintenance.html). Train Drivers: Driver training courses can teach new and veteran fleet drivers basic fuel conservation techniques (see the above Fuel Conservation Techniques for Drivers section) that they can use to improve their individual fuel economy. These courses teach ways to minimize the negative impacts of idling, speeding, aggressive or frequent accelerating or breaking, improper shifting, and taking unnecessarily long routes. National Clean Fleets Partner Coca-Cola has a successful “eco-driver” training program: http://www1.eere.energy.gov/cleancities/coca-cola.html. Give Feedback: Fleet managers can use fuel-tracking devices or GPS-based telematics systems to track fuel economy, idle time, vehicle routes, and driver performance to provide drivers with feedback on how to improve. Some systems even provide drivers with instantaneous alerts when they are exhibiting inefficient driving behaviors, such as speeding. Some fleets pair drivers with coaches to critique driver behaviors. Driver feedback may improve fuel economy by 3% to 10%. Optimize Routes: Route optimization technologies help drivers plan routes that can reduce mileage, stops, acceleration events, number of vehicles needed, and time spent in traffic. Fleet managers can view data for individual drivers or for the entire fleet to view their progress and target areas of improvement. Provide Incentives: Incentives, including driver recognition, special privileges, and monetary rewards, encourage drivers to use efficient driving behaviors. Polk County, Florida, provides an excellent case study of a fleet that developed a successful incentive program for its employees: http://www.government-fleet.com/article/print/story/2011/01/incentivizing-drivers-to-conserve-fuel.aspx. Implement Policies: Corporate policies that require drivers to participate in training courses, meet fuel-efficiency targets, comply with a maximum speed limit, and set goals can reduce emissions and improve driving efficiency. Use Fleet Fueling Cards: Fleets that use fueling cards can monitor, control, track, and manage fuel and maintenance costs based on card transactions. One example is the WEX (formerly Wright Express) card (http://www.wexinc.com/). More information on adjusting driver behavior to improve fuel efficiency can be found on the AFDC Efficient Driving Behaviors to Conserve Fuel page (http://www.afdc.energy.gov/conserve/driving_behavior.html) and on FuelEconomy.gov (http://www.fueleconomy.gov/feg/drive.shtml).